In this report we show that English-language Indian news users with internet access are embracing a mobile-first, platform-dominated media environment with search engines, social media, and messaging applications playing a key role in how people access and use news in a setting characterised by low trust in many news media, high concerns over the possible implications of expressing political views, and widespread worries about different kinds of disinformation. A mobile-first market: 68% of our respondents identify smartphones as their main device for online news, 31% say they only use mobile devices for accessing online news. These figures are markedly higher than in other markets,including developing markets like Brazil and Turkey. A platform-dominated market: an overwhelming majority of respondents identify various forms of distributed discovery as their main way of accessing news online. Search (32%) and various kinds of social media (24%) are particularly important. Only 18% consider direct access their main way of getting news online. Many of our respondents say that they share (50%) and/or comment (33%) on online news, with particularly high levels of engagement on Facebook and WhatsApp, but many also express concerns that openly expressing their political views online could make their friends of family think differently of them (49%), make work colleagues or other acquaintances think differently of them (50%) or, perhaps most worryingly, fear it could get them into trouble with authorities (55%). The most widely used online news sources (beyond platforms) are generally the websites of leading legacy media including broadcasters and newspapers, but some digital-born news media have significant reach, including some alternative and partisan sites who despite limited name recognition have built relatively large audiences. Our respondents have low trust in news overall (36%) and even the news they personally use (39%), but interestingly express higher levels of trust in news in search (45%) and social media (34%) than respondents in many other countries. Partisans at both ends of the political spectrum have similar levels of trust in the news, whereas non-partisans have lower levels. 57% of our respondents are worried whether online news they come across is real or fake, and when asked about different kinds of potential disinformation, many of our respondents express concern over hyperpartisan content (51%) and poor journalism (51%) as well as false news (50%). Looking to the future, significant numbers of respondents express an appetite for more personalised mobile news alerts, more online news video, for donating to support news organisations, and to pay for news in the future, with 31% of those who do not currently pay for online news saying they are ‘somewhat likely’ to pay, and 9% saying they are ‘very likely’ to. 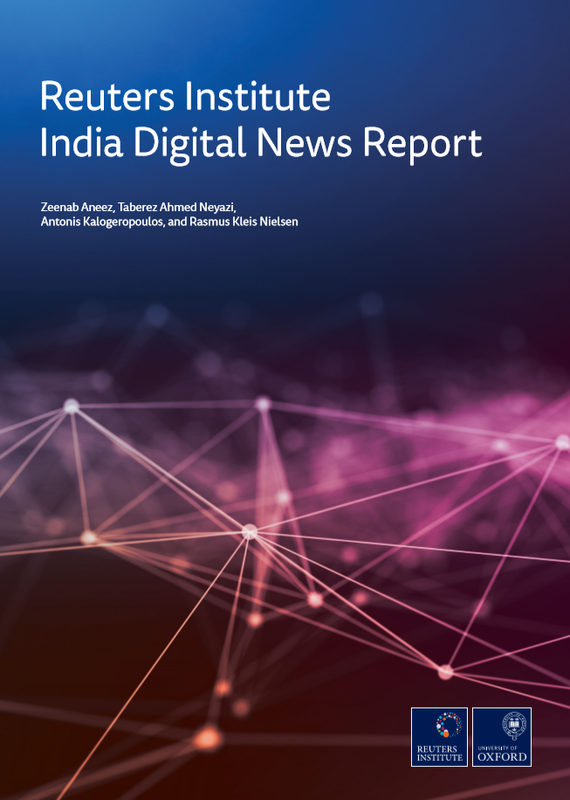 The report is based on data from a survey of English-speaking, online news users in India – a small (but important) subset of a larger, more diverse, and very complex Indian media market. Our respondents are generally more affluent, have higher levels of formal education, skews male, and are more likely to live in cities than the wider Indian population and our findings only concern our sample, and thus cannot be taken to be more broadly representative.